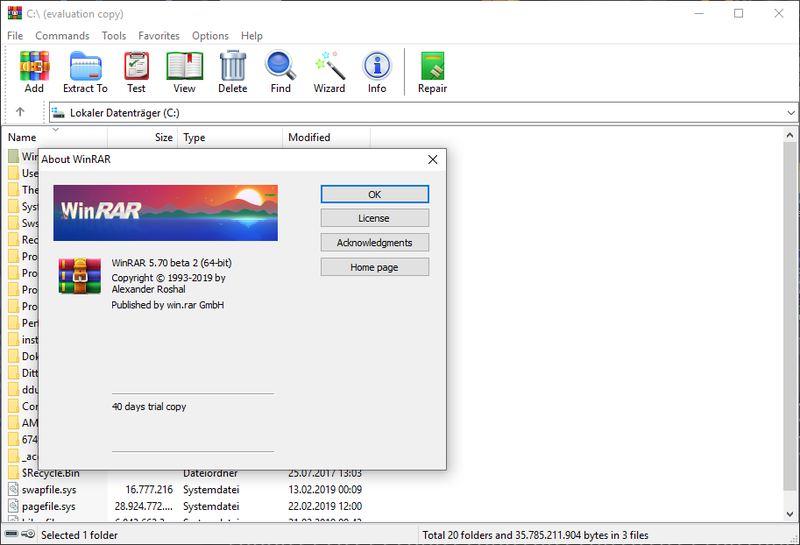 WinRAR 5.71 beta 2 | Planet 3DNow! pass­word prompt, the ent­i­re archi­ving com­mand is can­cel­led. Pre­vious ver­si­ons con­ti­nued archi­ving wit­hout a pass­word. sepa­ra­tor. Pre­vious­ly “r” com­mand accep­ted only “dest­fol­der\” for­mat. Path sepa­ra­tor is still requi­red if desti­na­ti­on fol­der does not exist. with tray icon when repai­ring several archi­ves in back­ground.